Here is a link to a Cone Beam scan you can view just like the diagnosing doctor would view. Our goal is to provide you with the best, most accurate, and thorough diagnosis possible. Fortunately, recent technological breakthroughs have allowed us to make major advances in our ability to achieve that goal. 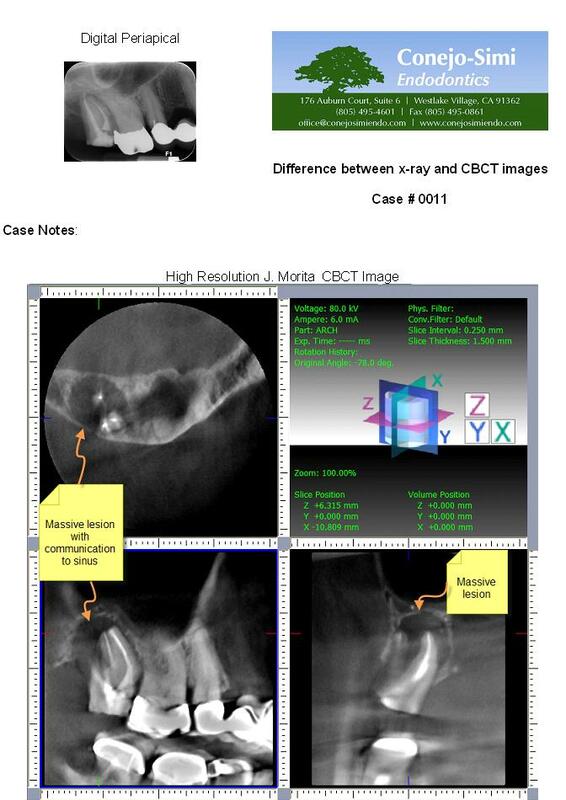 The Cone Beam Computed Tomography (CBCT) (“dental cone beam” or “cone beam”) is a new technology similar to CAT scans in that it will give us a 360 degree 3 dimensional view of the area we are examining. Previously, we were limited by dental X-rays, even digital dental X-rays, to a two dimensional picture of a 3 dimensional problem. There were many things we could not see because X-rays did not have the resolution to show them. Despite our best efforts, we were forced to infer, project, surmise, calculate, and interpret. Often, we could only give our best educated guess based on what we could see on the X-ray. Additionally, X-rays were often just not sensitive enough to show very small or beginning problems. That has all changed significantly with the advent of the J. Morita dental cone beam technology. With its extremely high resolution and exceptionally low radiation, it has literally changed our world with respect to what we can now see. 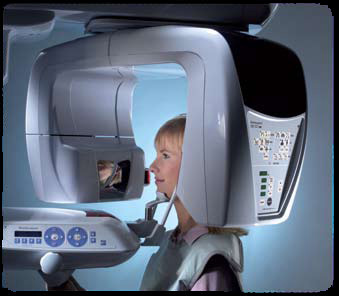 Cone Beam 3D imaging offers a large volume of information and subtle details that simply cannot be obtained by any two dimensional X-ray, whether intraoral or panoramic. One 3D scan will allow us to examine the region of interest at a high resolution from many different perspectives. 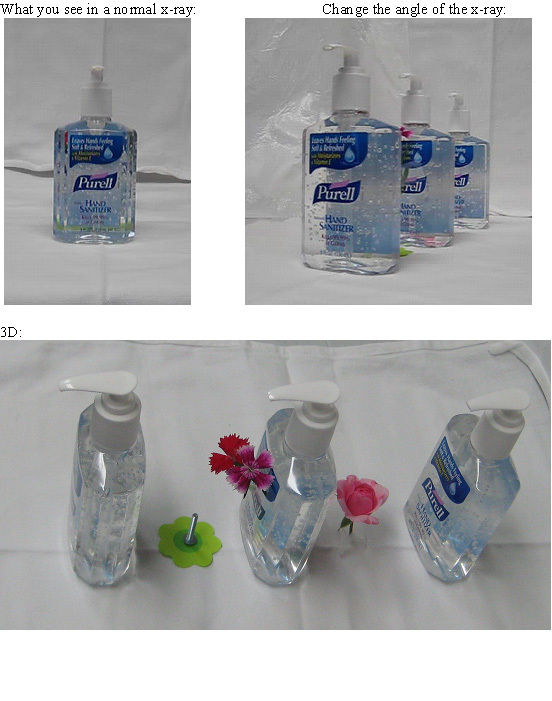 Clinical studies support this technology’s improved diagnostic capabilities. We are very proud of cone beam 3D and feel strongly that this state-of-the-art technology will allow us to provide our patients with the very highest level of care possible today. Taking the image is as simple as standing still. The 180 degree scan takes only 9.4 seconds and the images are transferred directly to a computer. A common question about 3D imaging is the amount of radiation that is emitted in obtaining this type of image. In an effort to provide the best care and lowest radiation dose possible, we selected the Veraviewepocs 3De unit by J. Morita. This machine offers extremely low radiation exposure. In fact, J. Morita units offer the lowest radiation exposure available in the dental industry today. If you have any additional questions about 3D technology, please contact our office. We would love to discuss them with you. We look forward to providing you with exceptional care utilizing the most current and advanced technology available in dentistry. recommended loading factor (80kV, 3mA, 9.4sec., Ø 40 x H 40 mm). View the images to your left. Nothing was moved other than the camera angle. Can you see what moving the camera around the objects brings into view. Just imagine an image that can see all the angles at once. We can pick any angle to view and rotate to see all around your tooth. 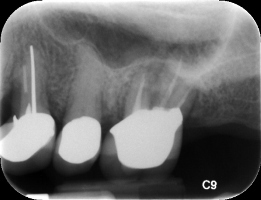 The x-ray in the top left shows a tooth that has had a root canal with a slight shadow around the end of the roots. All the images to the right are the cone beam images. You can see what looks like a large dark balloon surrounding the end of the roots. Huge difference in the information available to diagnose the tooth and create the best treatment plan for the patient.